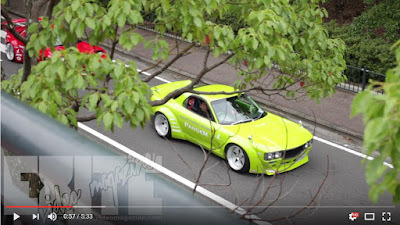 Here are parts 2 and 3 of the rollout video from STANCENATION Japan in Nagasaki. Honest to God... most exquisite show I've ever seen in my life. Simply the top of the top. And to be honest, I spent most of my time filming the regular guy's cars. Those are my people. Not the shops building perfect cars... the privateers like myself. HOWEVER, the rollout videos manage to capture a good mix of the pro built cars, and the home mechanics offerings as well. Check the videos out below. And don't forget about part 1, here. Also, be sure to visit my Instagram at: exitevideomagazine and like the Facebook page, here.